A very famous Mexican holiday, Dia de los Muertos is the celebration of those who are no longer with us. This celebration is closest to Halloween for many other cultures, and therefore many private flyers love to travel via private jet to Mexico’s Oaxaca region. During this time, families get together and pray for friends and family who have passed. In addition, many people will cook the favorite foods, or collect items of the departed, and deliver such things to their grave sites. The holiday is said to last 2-3 days, depending on where and by who the holiday is celebrated. Most commonly, it is after Halloween, during November 1st and 2nd. Knowledge of the holiday has spread across the world, and every destination has its own means of celebrating. However, there is one well known symbol: the skull. Because of this, it is common to see sugar skull candy, people with face paint rendered to give their heads the look of an empty skull, and people dressing up as Catrina, the most popular figure of Dia de los Muertos, a skeleton bride. All throughout Mexico, there are a variety of celebrations and festivals held during this holiday. Many people still celebrate the holiday with the traditional means. Oaxaca, Mexico, has become widely known for its celebrations during Dia de los Muertos, starting a week before the day the dead are said to be crossing over. Plazas and shops procure the traditional dishes and items one may find necessary to prepare for the dead. Many altars are created and decorated with candle light and flowers, and many people go to the graveyards for a seance. 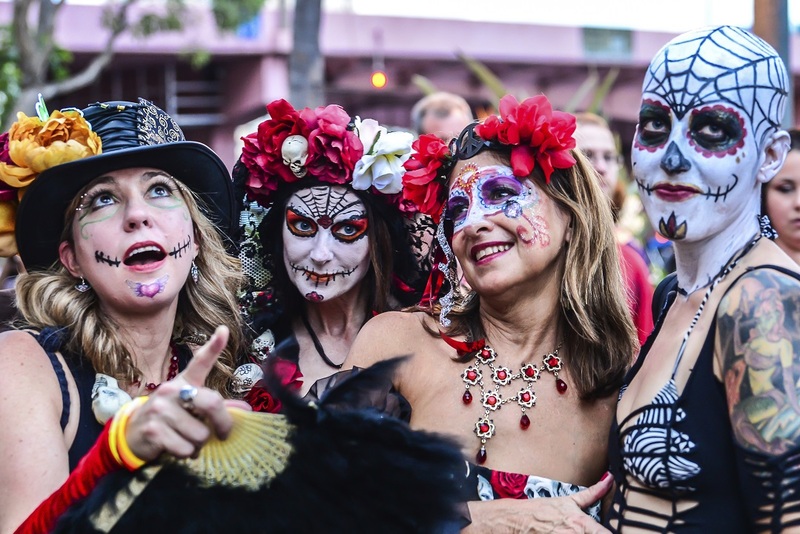 If you are interested in taking a trip for Halloween, or Dia de los Muertos, fly to Mexico on a private jet charter with Mexico Jet Charter.